IN KIT WITH STRAIGHT ABUTMENT. Conical implant with internal hexagon and aggressive thread. 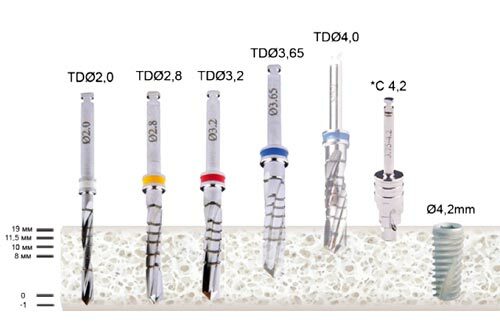 Implant СІ is self-tapping with the groove to condense the bone. 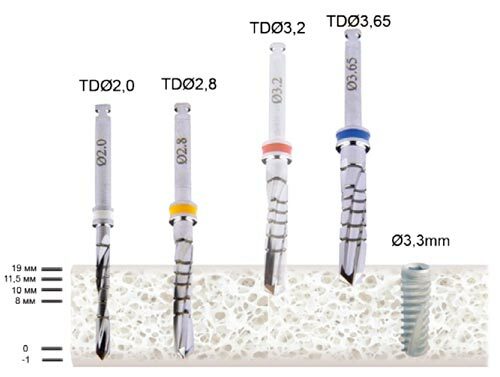 This implant is recommended to use on the bone of II, III, IV type. The Optimal application is at any kind of implantation, and also immediately after the extraction of tooth. It is recommended for use both at one stage and at a two-stage protocol. 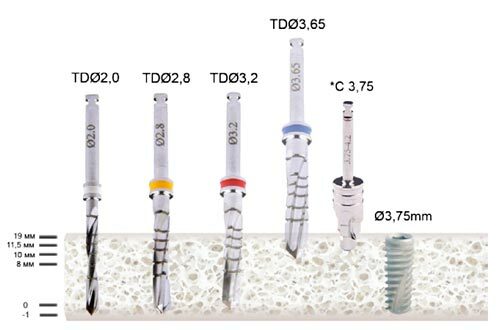 In package: implant on the implant mount + closure + straight abutment + screw. Often there are situations, when a person loses a tooth for some reason. The person of any age may encounter with the loss of teeth. And in most cases people decide to put good implants in order not to spoil their smile. Modern good implants are in great demand among the people, since these artificial constructions are able to replace lost teeth. And in our time, it is almost impossible to distinguish such artificial teeth substitutes from the real teeth. In fact their shape and color are almost identical to the natural teeth. Good implants are the best solution for people who faced the problem of the loss of one or more teeth. 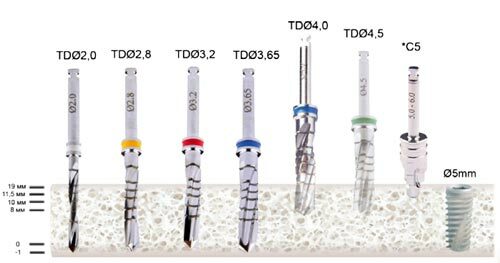 Really good implant is artificially created root made of titanium, on which the crown is worn. Today, such constructions are considered to be the most practical, reliable and aesthetical pleasing way to replace missing teeth. According to the statistics, only one-fifth of the population has all own healthy teeth. 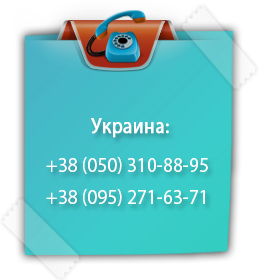 In our country, the situation may be even worse, because many Ukrainians are often put off a visit to the dentist, which can lead to complete loss of the tooth. Good implants at very reasonable prices can be purchased in the company «ITERUM-DENTAL IMPLANTS». We produce high-quality dental implants, which will help to restore beauty and healthy, attractive smile of the person. «ITERUM-DENTAL IMPLANTS» produces really good implants, which can be bought at quite loyal prices.